Norwegian Air Shuttle on July 12 beat analysts’ expectations by reporting a second quarter profit. The fast-growing budget airline made a profit of 300 million Norwegian crowns ($37 million) in the three months ending June compared with a loss of 691 million Norwegian crowns a year earlier. Revenue increased by nearly a third to 10 billion Norwegian crowns compared with the same period in 2017. The company’s unit costs, including depreciation and excluding fuel, fell 19 percent to 0.29 Norwegian crowns per kilometre in the first half of 2018 compared to the same period last year. The airline said it plans to invest $1.75 billion in new planes and routes this year, down from a previous forecast of $1.9 billion. 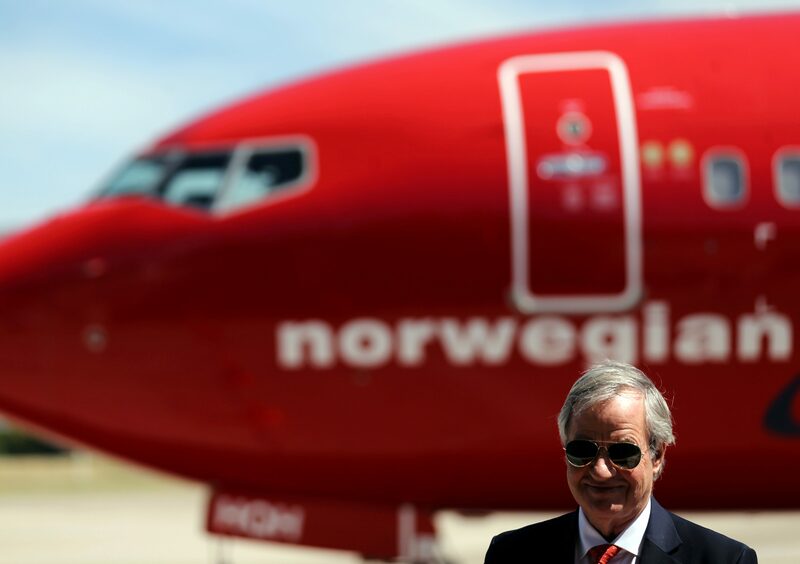 Norwegian Air has rebuffed takeover advances by British Airways parent IAG in recent weeks while Deutsche Lufthansa said it was in talks with Norwegian Air. The company’s shares were up 7.6 percent at 257 Norwegian crowns at 0815 GMT on July 12.